The 4th edition of Intex South Asia has transformed into a comprehensive trade show and business intelligence conference, attracting hundreds of apparel and textile entrepreneurs and manufacturers from around the world, including South Asia, South East Asia, China, Hong Kong, Taiwan, Korea, the U.S., the U.K. and the European Union. 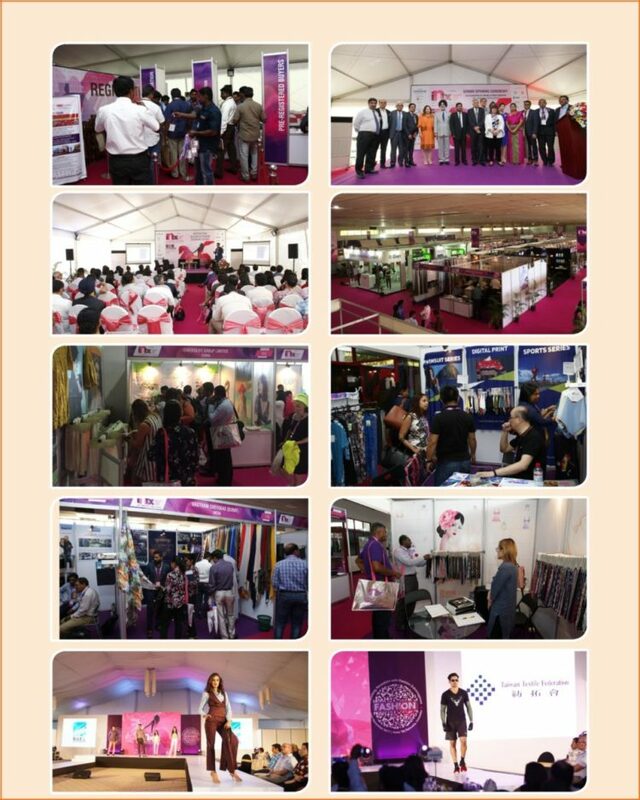 As the largest textile sourcing show in South Asia, coupled with the market intelligence provided at the ‘Business Forums’ and the ‘Fashion Fiesta’, Intex South Asia assists international exhibitors and trade visitors to connect and network with global textile and apparel industry business persons. The success of Intex South Asia 2017 propels South Asia’s largest textile sourcing show to secure more exhibit space at the grand BMICH to accommodate the global apparel brands, retailers, sourcing & buying offices, apparel manufacturers, fashion designers & labels and industry experts in attendance. Intex South Asia debuted in 2015 and has grown tremendously over the last 3 editions. It has shown a 46% rise in number of exhibitors and a 67% growth in international buyers with 200 exhibitors from 15 countries and 3000+ buyers from 21 countries participating in 2017. The show is organised with the official endorsement and support of The Ministry of Industry & Commerce of Sri Lanka, Sri Lanka Export Development Board (EDB), Federation of Chambers of Commerce & Industry of Sri Lanka (FCCISL), The National Chamber of Commerce of Sri Lanka (NCCSL), Joint Apparel Association Forum (JAAF), Federation of Indian Export Organisations (FIEO), Taiwan Textile Federation (TTF), Export Promotion Bureau of Bangladesh (EPB), Malaysia Knitting Manufacturers Association (MKMA), The Textile Merchants Group (TEXMAS) and many other leading industry trade bodies across Asia. Three years of successful editions of Intex South Asia exhibition have created a positive buzz in the industry as a whole – from sourcing and design teams to manufacturers and importers. With a growing industry renewing global interest for quality and ethical products, increased international buyer traffic and order writing has set the stage for a successful 4th edition of Intex South Asia on a larger scale than before. This year, buyers will see country pavilions including the India Pavilion organised by FIEO (Federation of Indian Export Organisations); the Taiwan Pavilion organised by Taiwan Textile Federation (TTF) that would showcase innovative, functional and eco-friendly textiles for sports and athleisure sectors as well as the Bangladesh Pavilion organised by Export Promotion Bureau (EPB) of Bangladesh. More than 250 textile companies from 15 countries & regions including India, Pakistan, Sri Lanka, Bangladesh, China, Korea, Taiwan, Hong Kong, Thailand, Indonesia, Singapore, Switzerland, Turkey and Australia will be present at Intex South Asia 2018. They will showcase their latest textile developments and connect with existing & potential buyers from South Asia and other international markets at the event. Grab this opportunity to visit and experience the 4th edition of Intex South Asia – the single, biggest international platform for textile sourcing of South Asia.